Delays in NHS Continuing Care assessments and reviews can be exasperating for families, and it’s not always easy to get answers from the NHS when you complain about this. It hardly inspires confidence in what is supposed to be a fair and transparent funding assessment process. The National Framework for NHS Continuing Healthcare and NHS-funded Nursing Care, issued by the Dept of Health, is the official set of guidelines about NHS Continuing Healthcare and all Continuing Care assessors have to follow these guidelines. The first stage of the assessment process is the Checklist assessment. This is supposed to be done within 14 days of an initial request. If you’re still waiting, take a look at the National Framework page 69-70, paragraph 25.1 and ask the local NHS Continuing Care Team why they have not adhered to this. (You’ll find the Continuing Care assessment team based at the local NHS Clinical Commissioning Group (CCG). The next stage of the process is the full assessment involving a multidisciplinary team meeting/discussion and the completion of a document called the Decision Support Tool (DST). This DST is then passed to a CCG panel for an actual funding decision. From the time the NHS receives the completed Checklist to the time the funding decision is made should take no longer than 28 days. In practice it can take months! If you’re still waiting, look at the National Framework page 70, paragraph 26.2 and ask the NHS to give you specific reasons why they have not adhered to this. If you are appealing a funding decision, new timescales for this were announced in 2012 and you can read more about timescales for Continuing Care reviews here. We hear of some CCGs issuing their own timescales, regardless of whether they comply with the official ones, and it’s a good idea to check with the local CCG what timescales they are working to – and if it doesn’t comply with the national guidelines, ask them why not. There may be various reasons for delays in the assessment and appeal process. The NHS is no doubt stretched in terms of resource, but many families also find that continual mistakes are made in the process, there’s a lack of response to communication, key points are ignored in correspondence, health needs are played down – to mention just a few of the things that go on. Funding is subsequently denied, thus forcing the family to appeal. Budgetary issues should never play a part in the Continuing Care assessment process, and yet many families feel that this is exactly why the process is obstructed and delayed – perhaps also so that families will simply give up, go away and pay for care. If you’re still waiting for the next stage in the assessment process, the delay could be an attempt to force your relative to pay for care. If this is the first assessment process you’ve been though, and the delay is being caused by the NHS (and no actual decision has yet been made about funding), you can argue that your relative should not have to pay for care at this point. After all, the only way to decide who should be paying for care is for the full Continuing Care assessment and decision-making process to take place. Prior to that happening, there is no basis on which to make your relative pay. 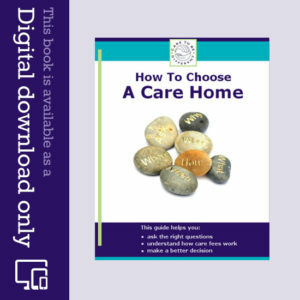 The NHS can, however, wait until someone is in a permanent care location before they’ll go through the assessment process – for example, if someone is leaving hospital and going into a care home the NHS may say they won’t assess that person until they’ve left hospital, to give the real ongoing care needs a chance to emerge. However, it is the experience of many families that this is simply an excuse to get someone out of NHS responsibility and into means-tested care. Put pressure on the hospital discharge team to assess your relative for Continuing Care funding before they’re discharged from hospital – before going into a care home – so that funding decisions can be made in good time. Attempts by the NHS attempts to delay this are often flawed and have no justification. 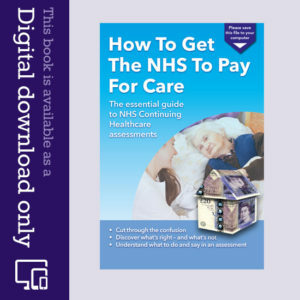 If you’ve already had one or more assessments and you’re still waiting for a satisfactory outcome, you could use the same argument as above – that the only way a decision can be made about who should pay for care is for the Continuing Care assessment and decision-making process to be properly complete and with the NHS adhering to all the national guidelines. How long have you been waiting for an assessment or review? It can be such a frustrating and maddening process – and at a difficult time emotionally too. Started chc in April 2014 no news yet have put it in the hands of my MP think they maybe waiting for my wife to peg out! Thanks for your comment, Susan. That’s an excellent point about keeping notes in Excel, so you can sort them by person/date etc. The number of emails and letters that families end up having to write can be huge – not to mention the endless phone calls. I didn’t think I’d be posting again at Xmas 2013 and we would still be waiting. Despite emails, letters and phone calls, her assessment has not taken place. It is now over 7 months since she left hospital and 6 months since the checklist with my input triggered the criteria for a full assessment, and the formal request was registered by the Commissioning team. I do not have copies of the 4 checklists conducted this year (only one with our input) and related paperwork despite promises, repeated requests and formal authorisation. Since then my mother in law has also been threatened with being made homeless by the social worker and home if we did not agree to a financial contract. Eventually their bullying worked and I signed and noted on the contract that it was unlawful. In retrospect, I should have written formal complaints immediately and called the NHS and council CEOs, my MP and all. I should have stepped it up then, instead of being reasonable. Now I’ve just discovered against my explicit instructions, a new checklist without any family input was conducted 7 weeks ago. The home had instructions to ensure this didn’t happen but I was unaware the manager had been removed – so no they didn’t make sure I was aware of the date. I don’t know how it varies from the one done 6 months ago as neither I nor my mum in law have a copy. In fact my mum in law doesn’t recall the meeting, and so was unaware of its purpose. The letter, which had gone astray, advised me belatedly that the checklist was being done and I could attend if I wished. Grrrrr. My last communications with that office was to let them know a meeting they wanted was not convenient, to ask what it’s purpose was and to reiterate the request for an assessment. Pick underlined that no meeting was to go ahead without my presence. The phone number on that letter is either engaged or goes to voicemail. So I have emailed the letter writer and the person I had been in contact with over the unspecified meeting for an explanation, answers to my outstanding questions and copies of the paperwork. I have sent a copy of that email to another person at their unit who handled my previous complaint. I have received no acknowledgement from these three staff. The complaints procedure …….yes, you’ve guessed it – is to the unit I’m complaining about. So I rang PALS and they recommended writing to the CEO of the clinical commissioning group which contracts with the unit that failed to act in line with the NHS guidance. So yet another authorisation letter needed from my mum in law to go with that letter. Meanwhile the council is seeking a charge on my mum in law’s house. I have advised their lawyer that it is unlawful as the NHS with the support of their social work team has not yet followed their guidelines. I have also written again to social services – director level – asking for an answer to my communications with social services and advising them again that it is unlawful to be pursuing a charge when the NHS with the support of their social services staff has not completed the assessment process. So I will be spending Xmas sorting out the paperwork, writing a summary of the ridiculous numbers of calls, letters and emails sent. Then I’ll be following the advice in your ‘what to do when they don’t respond’ post. 1) don’t be worried about complaining early in the process. If you have tried for two or three weeks to get answers, or if you are advised the waiting list for assessments is longer than 2 weeks, take action immediately. Start following it up formally in writing and then if not acknowledged or you don’t receive a response in a reasonable time (two weeks), start the complaints processes with the relevant organisations. Follow up relentlessly. 2) Write a one line log as you go of all your communications – date, medium (call, email, letter, face to face), topic, what was requested or agreed with key dates like – operations, or admit talk or discharge form hospital. I didn’t do this – but will from now on. If you use a computer, do it in excel so you can sort by organisation and person. This will help you with your complaints. The length of my list is astonishing. The file copies are several inches thick. Reading back, I can see I had forgotten quite how many times I have made contact to follow this up, and the repeated failures of others to take action and respond. I also have an A4 book where I write my notes and observations of how my mum in law is doing. Notes at her home are patchy. For example, she’s been very frightened and paranoid and her notes at the home don’t reflect the difficulties staff have had managing her. So I have notes of the episodes I know about. Episodes of incontinence are also not noted at the home. I write long hand as that’s the easiest thing to do straight after a visit. I’ve been very busy with several other family members unwell and being flat out at work with a new business. So I haven’t been following up relentlessly. I wonder if the unspoken NHS strategy is to string things out so families give up. It’s clear to me that in 2014, I will need to be a CHC machine, relentlessly following up every mail, phone call and letter and using every complaint avenue. So my new year’s resolution is to be that machine – not just weekly but daily too as required. I’ll keep you posted. Sadly your story is not uncommon, Maureen, and I imagine it’s hugely frustrating. Keep chasing the Continuing Care Dept. at the local NHS. Call them every day if you have to. Write to them and copy it to the Chief Executive. Contact Adult Services at the local authority and see if they can intervene. Keep going. nail since he came out of hospital in January this year. He has regular visits from a podiatrist, OT and physio. He has also had several calls from our doctors. Cannot believe the health service can treat people this way. Thanks for your book, Angela. I was unaware of the CHC process until 2 miths ago. There have been 4 times in the past 10 months when a checklist should have been done for my mum in law with family input. I was never asked despite frequent visits to her bedside and taking an active role in discussing her care with the medical teams and rehab team. Your book gave me the info I needed and the confidence to insist that a check list be done with the info I have. It’s hard to understand how the latest checklist was then conducted without my input. I insisted I review it with the nurse and the score doubled the following day. This was because the nurse didn’t have relevant info on file and she thought well managed needs are not relevant. I have now been told by the CHC assessment team regional manager that a) there is a 3 month waiting list for CHC assessments and that b) the checklist criteria are so low that despite have B needs in 8 areas ( but no As) she is very unlikely to qualify. It’s hard to know if the delays are financially motivated. It’s certainly a disorganised and messy process, with conflicting info and failures in communication at the hospital, rehab, the district nurse team and the local clinical commissioning group which took 2 months ( and 4 mails) to tell me who is in charge of assessments. Thanks very much for your feedback, Susan – and I’m glad the book has been helpful. The Continuing Care assessment process is indeed very messy, and you could be right that the delays are financially motivated. The attempts to put you off almost certainly will be.